That girl was me, age 17. How times have changed. 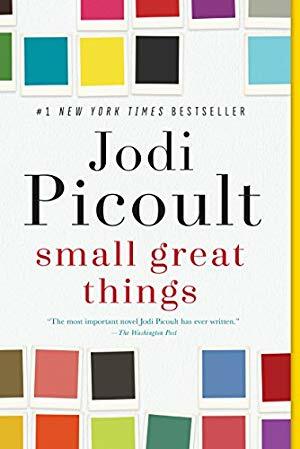 The seventh category for the 2018 Reading Challenge—for those who want to get more out of their reading lives in 2018—is “a book that’s more than 500 pages.” Why? To nudge you to intentionally tackle a looooong book you really want to read, but never seem to want to read next. Those big fat books you keep putting off because they look so darn intimidating. The books on this list tally 13,194 pages, with an average page count of 659. They’ve all been well-loved and well-vetted by your fellow readers—because if you’re going to devote 500+ pages to a book, then by golly, it had better be good. 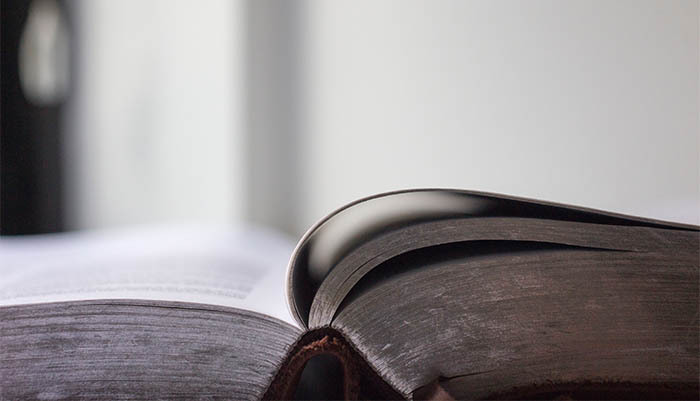 What’s the longest book you’ve read? What are you reading for this category? Tell us all about it in comments! P.S. Need a breather after a long book? 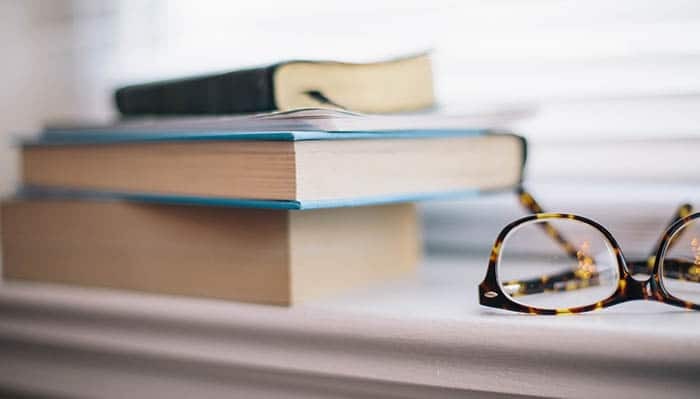 Check out these 20 life-changing nonfiction books that you can finish in a day, and these 20 short novels you can read in a single day. Previous: WSIRN Ep 140: What IS literary fiction, anyway? I totally agree with you about long books…used to love them (before I really internalized the concept of opportunity costs), but now the chunkster has to really blow me away for it to be worth it (Heart’s Invisible Furies was absolutely worth it). And I agree with your friend about 1Q84…one of the only long books I could’ve read even more pages of! 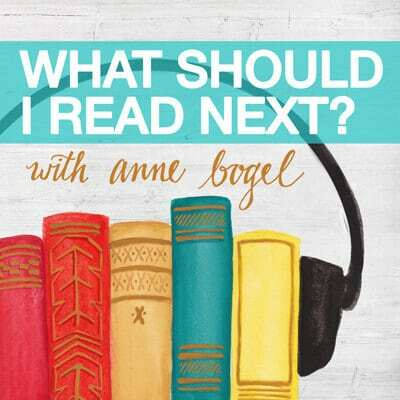 Do you think 1Q84 would be a good listen? Sometimes I get lost in audio books that have too many characters or jump back and forth in time so I’ve been nervous. Hmm. It’s been years since I read it and I have trouble with fiction on audio, so I may not be the best person to ask. 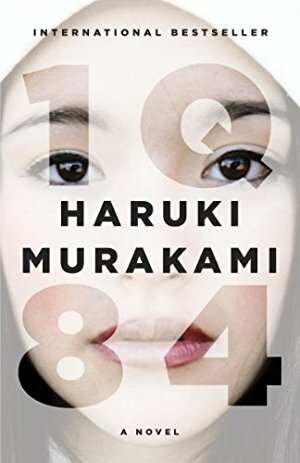 If I remember right, there are 2 main characters in 1Q84 and most of the action focuses on them, but there are definitely lots of side connections. 1Q84 wouldn’t be something I personally could listen to on audio, but maybe others could? You know what? I’ll throw it out to my Twitter followers and see if I can get any other opinions! I’ve read one other book by Rumer Godden – Thursday’s Children – so that first one is definitely on my TBR now! I also recommend A Candle for St. Jude, especially if you like ballet stories, and Greengage Summer. I’d add The Crimson Petal and the White to your list. It’s set in Victorian England and centers on two very different woman. I read it over spring break one year while I was teaching. Couldn’t put it down. I loved the CRIMSON PETAL AND THE WHITE also- historically so fascinating…a real insight into women’s lives of the times. I’ve always loved that title but haven’t read the book yet. Thanks for the rec! I LOVED The Gilded Hour by Sara Donati, who also wrote the Into the Wilderness series (which I also liked, but not as much). The Gilded Hour clocks in at 740 pages and it’s chock-full of romance, mystery, adventure, and 19th century feminism. Fair warning: it ends with a lot of unanswered questions. It’s supposedly the first in a series, but the 2nd book hasn’t been announced yet. Agree with The Gilded Hour-it was great! I don’t know if this is cheating because it is really several books in one. I re-read Anthony Trollope’s Barchester novels every couple of years. My omnibus edition is held together with four different kinds of tape. When you open it, sand falls out. LOL love that! Trollope doesn’t get the attention he deserves in my opinion. I read The Palliser novels a couple years ago and am itching to read the Barchester Novels as soon as I can get my hands on them. Your taped together collection makes me even more excited! Four different kinds of tape, and sand falls out? You are doing it right! This is a wonderful list….thank you! 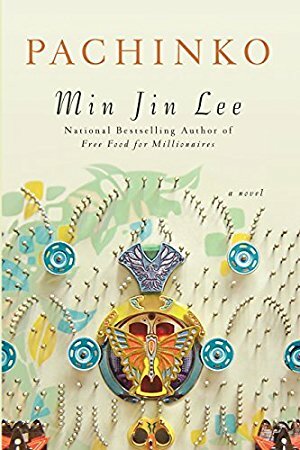 “Pachinko” is probably my favorite read of 2018 so far, with “Americanah” by Adichie close behind. So, I’m apparently in a big book phase. ? I’m currently reading “Wolf Hall” by Hilary Mantel (604pg), and I highly recommend it for fans of 16th century British history. It’s the story of Henry VIII’s reign, told from the perspective of one of his closest advisors, Thomas Cromwell. Fantastic so far! So happy to hear of another Winds of War/ War and Remembrance fan. SO good. Loved The Winds of War saga!! I agree on Pillars of the Earth and also the sequel, World Without End. Thanks for this list! I’ve read many of them, but can add a few more to my “to read” list. I want to recommend A Little Life by Hanya Yanagihara. It clocks in at just over 800 pages and I haven’t finished it yet, but it’s addicting once you get into it. This book is one of my all time favorite books! I still think about Jude. I absolutely loved A Little Life. My two favorite long novels are oldies but goodies. Lonesome Dove by Larry McMurtry and Pillars of the Earth by Ken Follett. Both of them I was skeptical of before starting but was totally won over. I’ll admit I’m more likely to read a big novel in the winter. Yes, Amy, I was going to add Lonesome Dove to the list! I was hoping to see Lonesome Dove on the list too! I love it! Those were both books I thought of as I read this list. Pillars of the Earth is a special favorite of mine! I read a couple of long books every year because there is nothing like being swept away in an epic, sweeping novel. I don’t view it as an opportunity cost issue (quality over quantity). I’m on track to read Gone With the Wind three times in the calendar year. It’s probably my favorite book of all time. I also love The Thorn Birds (which I discovered after an episode of WSIRN) Les Mis, and The Hunchback of Notre Dame. Does the Harry Potter series count if you have to read books 1-7 all in a row with no break once a year? ? Outlander is totally not my kind of book usually but I loved it. I love long books & have eagerly been awaiting this post!! All time favorite book is Les Mis. Also enjoyed Cutting for Stone & Small Great Things. 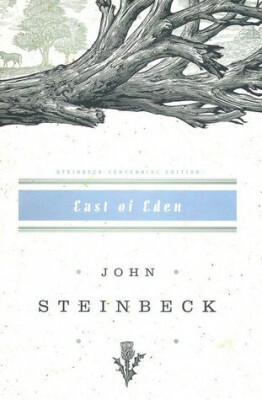 I loved East of Eden, one of my favorite reads; I never realized until now it was so long. I agree with 17 year-old Anne; I’d rather read one good book than 5 that are lacking. When I reviewed my reading at the end of last year I realized all the fast fluff reads I was gorging on weren’t giving me a truly satisfying reading experience. I am trying to place quality over quantity this year. Besides, if I’m enjoying a book I read it faster; some of those big books seem to fly by, while a less engaging shorter novel will drag out. Other big books I’ve enjoyed are the count of Monte Cristo, Lonesome Dove, Sophie’s World. Ken Follett’s Kingsbridge series (World Without End and Pillars of the Earth — I have not yet tackled A Column of Fire) are wonderful! I have to add Gone With the Wind by Margaret Mitchell (960 pages), my favorite book ever. It’s closely followed by Les Miserables (1232 pages) and Anna Karenina (976 pages). When I was growing up, I was like you – I believed if a book was less than 500 pages, it was not worth reading! GWTW is probably my absolute favorite book ever. 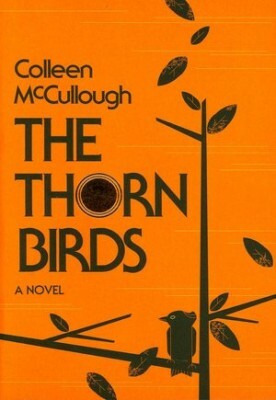 If you loved GWTW and you recommend The Thorn Birds, I’ll have to add to add that to my TBR – I had never heard of it until this post. I read 11/22/63 for this category. It took me about half the time to read it than I anticipated it would. It is definitely on my list of my all time favorite books. I love the fact that you mention the Thorn Birds. I read that book the year it came out, when it seemed as if it was the only book people were reading. It is also an all time favorite. I too loved 11/22/63 and was surprised at how quickly I got through it. I was pleasantly surprised at how much I enjoyed it as I’m not a huge King fan. I love this list! Cutting for Stone is one of my favorites. I would add Shantaram by Gregory David Roberts to this list. It seems to be a pretty polarizing book, but I devoured it a few summers ago and still think about some of the characters quite often. I’ve read and loved several of these titles.? Two others that I enjoyed recently: “The Weight of Ink” by Rachel Kadish & “The Nix” by Nathan Hill. i just finished listening to The Weight of Ink yesterday. I think it is probably the best book I’ve read this year. I’m thrilled to see “The Weight of Ink” getting some love! I was going to mention it myself. Great for any who loved “Possession” or “People of the Book”. Yes! It totally made me want to reread “Possession”! People of the Book was an incredible, unsettling, haunting book. I love this post! I have read ten of these, and many are among my favorite reads ever (A fine balance, the poisonwood bible for sure!). It seems that the longer books seem to have more staying power and impact on me, maybe because I’m more invested at the time. I’m adding several of these to my reading list. Thank you! I am surprised to see I have read four of the books on your list and have to agree that they are novels at the top of my all-time favorites list. I would also add “Mists of Avalon” by Marion Zimmer Bradley (happens to be on sale today for $1.99 on Kindle). My book group read it years ago and people still bring it up today as a favorite. The Goldfinch by Donna Tartt, hands down, is my favorite epic-length novel. I’m surprised it didn’t make this list. I’ve heard good things about Pachinko, and it’s on my TBR. Maybe I’ll pick it up on while I’m on vacation next week. Add “The Nix”, by Nathan Hill, to this list. I loved it! It was the last long book I’ve read (598 pages). The longest was probably “Harry Potter and the Order of the Phoenix”. I just bought “The Nix”, but haven’t started it yet. I’m glad to hear you loved it! East of Eden is my all time favorite book! I also love Atlas Shrugged though I know that one can be super controversial and the first 100 pages are BRUTAL. It was recommended to me by someone with great taste and he warned me about the beginning so I was willing to stick it out. 1Q84 was a miss for me. I wanted to love it, but I wanted to quit reading it so many times. Normally I can bail on a book, but I felt like I had committed too much time to it to quit. By the time it was over I was completely over it. The first hundred pages introduces so many of the characters, but after that, the book flies. At least it did for me…I finished it in less than a week the first time I read it. I then turned around and read it again. It is a novel that I can re-read and get something new out of it every time. I guess it is because I have changed. By the way, Atlas Shrugged is up for PBS Great American Novel…voting will continued until August or September, and readers can vote daily for as many of the books from the list. As for me, I always vote for Rand and a few others that are personal favorites. 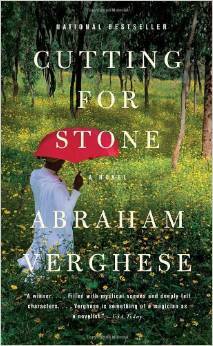 Cutting for Stone is our book group’s all time favorite book. I loved East of Eden! 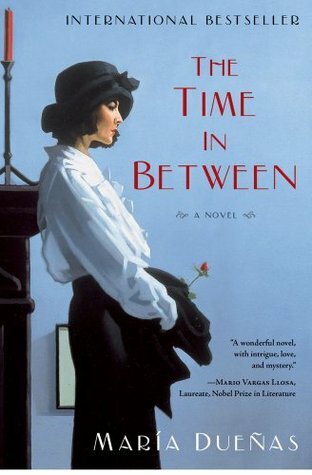 The Time in Between is on my book stands to be started soon. I’m actually making an effort to read more long books that have been on my TBR for a while. Although my cutoff is more like 400 pages, I did read Pachinko, Strange the Dreamer, Into the Woods, The Great Alone and Alif the Unseen this year. I still need to tackle The Passage, The Name of the Rose, and The Great Glass Sea. “The Name of the Rose” was a favorite in my youth. I’d definitely revisit it… if I can find a hardback. One of my all time favorites is “The Hawk and the Dove” by Penelope Wilcox. It, too, is set in a monastery and travels between medieval times and mid 20th century. It is engrossing in ways you wouldn’t imagine it could be. A Suitable Boy is one of my favorites! I still think about bits of it from time to time. Just his mastery of so many different characters and worlds was dazzling. 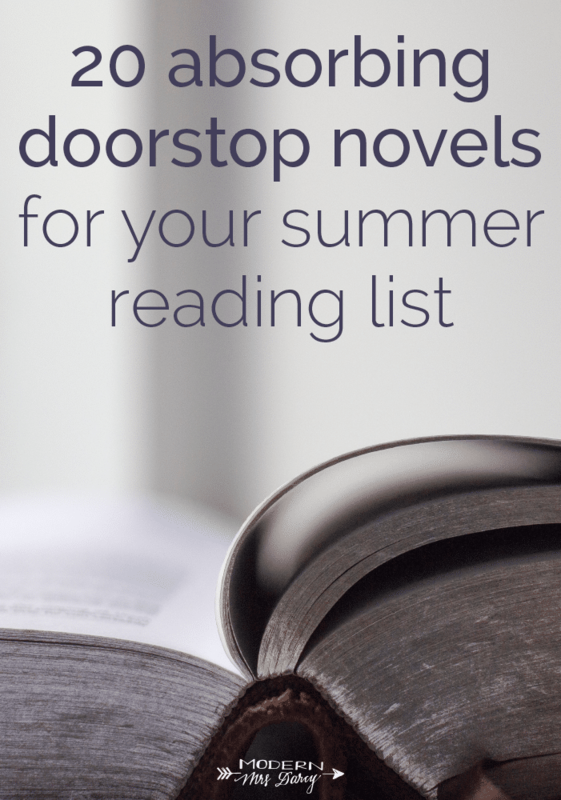 The other one on this list that I’ve read is Poisonwood Bible – also one of my all-time favorites! So maybe there’s something to the theory that longer novels stay with you – or perhaps I just give up on the long novels that I don’t like so much, ha! Anna Karenina is probably the longest. The Outlander Series books are all long but I love the storyline. Also read War and Remembrance by Herman Wouk. I am not afraid of a long book and really am glad I have a Kindle now to read them and not have to tote around a big oversized book. Love this list – and I’ve read 9 of these. So proud of me 😉 I read the Suitable Boy when I was in grade 12. I remember toting this giant hard copy book everywhere I went that year …it felt like forever. In January I took on Stephen King’s “IT” which also felt monumental. If you enjoy “It” (which I didn’t; coulrophopia worsened after that read! ), I’d try “The Stand”. After seven straight college semesters reading things I had to, that was my first “want to re-read”. Haven’t read it since and now realize I should. I can’t stop recommending “I am Pilgrim”. It’s just over 600 pages that I read in 3 days. Could. Not. Put. Down. I just finished My Dear Hamilton by Stephanie Dray. It was over 600 pages. It was so very good! I’ve read several Hamilton historical fiction books, and this one was my favorite, a deep dive into Eliza Schuyler Hamilton’s life. So good! I love, love, love James A. Michener’s books-Space, Chesapeake, Centennial, Poland, and more. He writes of historical events overlaid with fiction al characters and though the books are long, they’re hard to put down. I highly recommend checking out this author. Hawaii by Michener! Our first trip to Hawaii was meaningful because of this fictionalized history. Oh to read it on the beach in Maui, dripping cold pineapple on a page here and there! I love Michener, too, Shelley! The Source is my favorite (read it twice), and I also loved Hawaii, Alaska, Chesapeake, The Covenant, and Centennial. I recommend him, too. This post feels very timely! I’m in the middle of The Light Years (first book of the Cazalet Chronicles), and while I’m really enjoying it, I keep thinking I could be reading so many more books. A great lesson for me in enjoying the present. The Invisible Bridge and Kristin Lavransdatter are two other big books I really enjoyed too. I loved The Invisible Bridge! I loved Kristin Lavransdatter also! I loved Kristin Lavransdatter as well. The Cazalet Chronicles is a masterpiece. Loved all of them. As so many of these suggestions have movie/TV versions, I’ll recommend “The Alienist” by Caleb Carr (493 hardback, 512 paperback). The miniseries is fantastic but the book is even better. A Fine Balance is excellent. Don’t read A Suitable Boy right after it as it is upsetting to read about ultra rich Indians after the reality of poverty so well described in A Fine Balance. A Fine Balance is probably my favorite book ever. It sparked a life-long fascination with Indian culture. Would love to visit some day. And when is Mistry going to publish another book??? I have read his other novels but they didn’t grab me and refuse to let go the way A Fine Balance did. Great list – I’ve been wanting to read Middlemarch for some time, I think I’ll have to dive in! Another huge book that I’m currently reading and loving is Kristin Lavransdatter by Sigrid Undset. It’s magical and tragic and although it’s taking forever to read it, I really am loving it! I would also add Middlesex by Jeffrey Eugenides, All the Light We Cannot See by Anthony Doerr, and Nobody’s Fool by Richard Russo. Even though they’re over 500 pages, they all left me wanting more, which says a lot because I typically like to stay in the 350 range! Great list, thank you Anne! Another biggie is The Far Pavilions by M.M. Kaye. I just read, and loved, Lonesome Dove. I read “Children of Blood and Bone”, which is the book Jimmy Fallon chose for his summer reading challenge. It’s a YA book that comes in at 537 pages (which is about 150 too many, in my opinion). I thought it was good, not great. I, too, have thrown over a lot of big books so that I could cover MORE. I do still love a doorstop, though, especially if it’s engrossing. I’ve read six (well, five and a half) on this list (The Thorn Birds–when it was new! 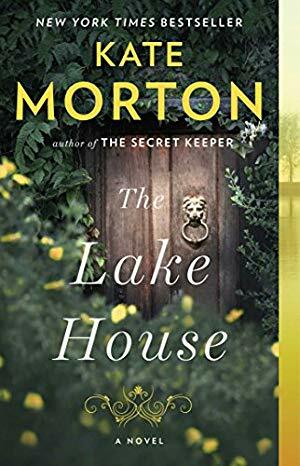 ; Pillars of the Earth (lying outside on a bench in the sun in Germany waiting for a space-a flight to Spain, eons ago–Ken Follett remains a favorite); The Lake House (ALL of her books! 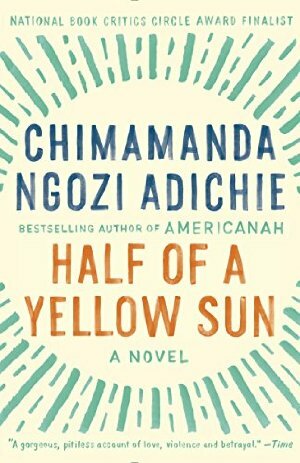 ); The Book Thief (*sniff*); Small Great Things (meh); The Poisonwood Bible (also eons ago), and am halfway through Half of a Yellow Sun. Several of the remaining titles have been on my TBR list forever so I appreciate the nudge! Some of my hands-down best-loved sagas include the works of Edward Rutherford (London, Sarum, Paris, The Forest, New York…). With each one I am entertained, educated, engrossed. Doesnt get much better than that for me! I try to read one hefty book every winter, this year it was The Goldfinch, which I really enjoyed. I would also add The Signature of All Things by Elizabeth Gilbert to the list. I read it maybe 4 years ago and still think about it. Most of my all-time favorites are extra-long books: A Little Life, The Secret History, The Heart’s Invisible Furies, The Poisonwood Bible, as well as some of my favorite guilty-pleasure books (I don’t really feel guilty): Ken Follett’s epics, Outlander. But you’re right that I have to gear myself up a bit more to read these long books, just because they take up more time. I’m trying to worry less about that, though, since most of the books I love are long! I loved so many on your list, and a number are on my TBR: In This House of Brede and Middlemarch. My favorite long novel of all time is Trinity by Leon Uris. It’s a sweeping family saga set against the history of Ireland. I loved the main character, Conor Larkin, so much I named one of my sons after him! That is such a fabulous book! I’d forgotten about it. Being a Spaniard myself, I couldn’t help but smile (big time) when I saw The time in between in the list! Not only it is a great book; they also turned it into a very good tv miniseries. And I cried my eyes out with The book thief… I’ve just finished reading A column on fire (Ken Follet writes nothing but doorstoppers), and I loved it. Thank you for your recommendations! I haven’t seen the miniseries—I’m glad to hear the adaptation does it justice! One summer when I was in university, I took a course in the 19th French novel. It was only 6 weeks but gave full year credit. Every novel (think Les Miserables and Germinal) was very long. I read almost all my waking hours. 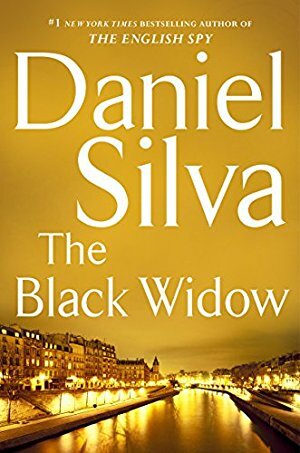 I haven’t read any Daniel Silva, so I will try The Black Widow. I have read several from your list: The Thorn Birds, The Book Thief, The Poisonwood Bible, and Cutting for Stone. My favorite reads include Ayn Rand’s Atlas Shrugged and The Fountainhead. I have read both many times, the former enough times I have lost count. Some of Kristin Hannah’s novels probably count as “chunksters” like Firefly Lane and of course, Gone with the Wind is among the books I have read. Tolstoy’s Anna Karenina and Franzen’s Freedom, too, but to me, both could have been improved and more enjoyable if 200-300 pages minimally were cut. Page count has never discouraged me in my reading choices, but I have to admit that I do have a shorter attention span for just sitting and reading one book. Maybe that is because I tend to have two or three books going at a time. Just finished reading The Nightingale (Hannah) late last night. While under 500 pages, it had some heavy, emotional content. I struggled with Atlas Shrugged. It was my mother’s favorite so I felt I had to read it, but there were too many long … soliloquies, for lack of a better term. I’m glad I read it, but I probably won’t again! Glad someone else appreciated it as much as she did. 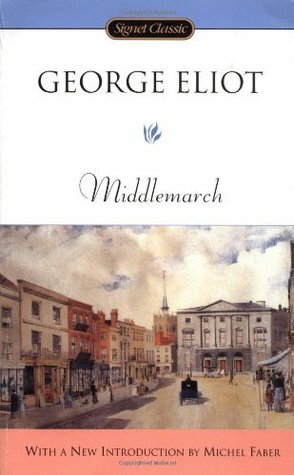 I have had Middlemarch on my TBR list for a long time. 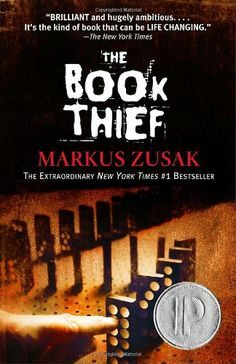 I thought The Book Thief was an incredible premise and an amazing book. I forgot about “11/22/63!” It was a long book, but so very, very good. Longest book I have read..either Gone With the Wind or Anna Karennena. Not sure which is longer. Both were excellent and worthy of every page. I LOVE long books. Any of the last 4 “Harry Potter” novels were 500+ pages, as well as ALL the Diana Gabaldon “Outlander” “big” books. And don’t forget “Gone With the Wind:” the edition I read was just short of 1,000 pages. ‘The Invisible Bridge’ by Julie Orringer, which is a gripping story of Jewish brothers in Hungary during WWII. I mentioned Atlas Shrugged (my all time favorite novel) and The Fountainhead (maybe my second, but Harry Potter series ranks right up there). Read AS countless times and TF many times too. I have been voting for Rand’s novel on the PBS Great American Read daily. Yes, the philosophy gets a bit heavy, but the stories…awesome. And when you know her background, even more impressive. Hi Nancy – I missed those in your comment, but am so glad you replied. It’s been a long time since I read either one; need to get them back on my TBR list. Thanks! Agreed…I need an Ayn Rand fix! I just sent a copy of AS to a friend who has never read it. Even sending her the book, I still have several copies: one well-read hardcover, one paperback from a set of it and TF, and a copy on my Nook. I also mentioned Atlas Shrugged as a favorite! Glad to know I’m not alone! Nope, absolutely not! You are not alone. 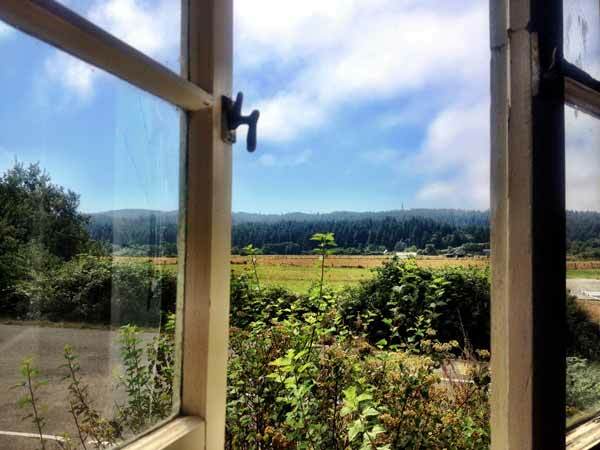 One of my favorite long novels is Rosamunde Pilcher’s Coming Home. I usually reread it about every other year. 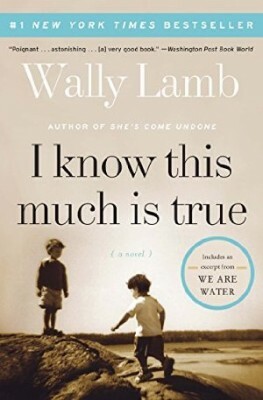 I read I Know This Much is True, back when it was one of Oprah Winfrey’s book club picks. I forgot how much I loved it! Seeing it on this list makes me want to read it again. A friend gave me The Poisonwood Bible, and I’ve been meaning to read it. Maybe I’ll start it this weekend. One I read last summer and really enjoyed (495 pages – will it count?) is The Golem and the Jinni by Helene Wecker. This is magical realism but really about the immigrant experience in NYC at the turn of the century. Loved it! East of Eden is in my top 10 favorites of all time. I didn’t read Steinbeck until about 5 years ago and I feel there are very few authors who are his equal – Wallace Stegner comes close. And then just to show my crazy diverse reading taste, 11/22/63 by Stephen King (842 pages) is also in my top 10. Not horror, instead, suspense, mystery, and such a page- turner, you fly through it! I’ve started thinking about books in terms of boats, some are speed boats and some are ocean liners. I spend most of my time in the ocean liner range, but that scope is what I’m looking for. I pop on to speed boats for a couple hours here and there, but it’s just too quick. Looking forward to about six of these in the next few months. Always looking for more. I just finished Cutting for Stone and loved it, so I was glad to see that it made your list! (I will admit that when I saw how long it was-only AFTER I picked it up from the library, since I’d put a hold on it online–I almost returned it due to length alone, but I’m glad I didn’t!). The longest book I ever read was Proust’s “In Search of Lost Time,” and I cheated because it was in English. I am talking about the entire thing, and it took me three years. Each page was like an incredibly rich Belgian chocolate (sorry, but the Belgians are THE BEST for chocolate)–it had to be savored slowly, much too dense and rich to be gobbled down, though I did try. Of the books you have, there are a couple I didn’t love, then the Book Thief, which I was reading with my kid and we kind of dropped it, and the Poisonwood Bible, which is a brilliant depiction of missionary/expat culture clash in Africa. I was a Peace Corps volunteer in Africa many moons ago and I can attest that the Poisonwood Bible is spot-on, in SO many ways. A doorstop I’m working on is Don Quixote by Cervantes (again, in English!). It is SO funny!!! 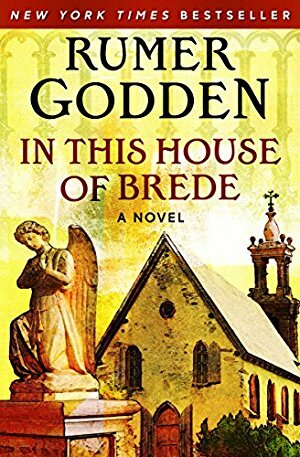 I read In This House of Brede many years ago and remember loving it. In fact earlier this year I bought myself a copy with the intention of a reread. I have always been fascinated by Middlemarch and would like to give it a try at some point. It might test my reading ability and taste. But it would be a challenge. The longest books are all the Outlander books that I’ve read and listened on audio as well to many of them. My favorite long book is the Count of Monte Cristo. SO good and well worth every page! For this category, I’m hoping to read Team of Rivals by Doris Kearns Goodwin and I’d also like to squeeze in A Prayer for Owen Meany. The Count is a long book I keep meaning to read. Thanks for the nudge! The two longest books that I have read this year, Pachinko and The Secret History by Donna Tartt, have ended up being my favorites so far. Other doorstopping books that I have enjoyed reading are The Women in White by Wilkie Collins and Villette by Charlotte Bronte. A lot of books on this list! I am reading Middlesex, turning out to be pretty interesting. My favorite long novel is Battle Royale! So good I read it in two days. I Know This Much Is True is probably my favorite book of all time (although Us Against You is a new contender) and I reread it every few years. I had to laugh at your initial comments about A Suitable Boy. I tried to read it years ago but the book was so big it became a problem. Couldn’t stick it in my purse, couldn’t read it in the bathtub, just too big! This was long before e-books so maybe I should give it another try. An Equal Music is another one of my favorites so I love Vikram Seth. Currently I’m slogging through the second book in the Outlander series. The first one took me over a month, with breaks. It’s a great story but my knowledge of history is lacking enough that I have keep stopping to look things up. I LOVED An Equal Music. Just stunning. But A Suitable Boy is my pick if I was ever a guest on WSIRN for most hated novel. I used to read giant books in high school. Mainly because I always put off my outside reading and had to pick big books to reach the page number requirement. lol. I did find 2 of my all time favorite books that way, Gone With the Wind and Exodus. I’ve gone back and read them a few times since and fall in love with them all over again. I agree, Cutting for Stone, Middlemarch, and The Lake House were completely absorbing! I still have The Poisonwood Bible on my TBR list, though. The most recent hefty book I read was the 500+ page Life After Life, which was very unique. I read and loved many of the books on your list! I would have to include Pillars of the Earth and World Without End as well. Both are great, but it was hard to put Pillars down! 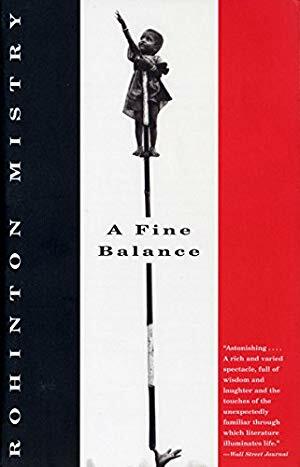 A Fine Balance is such an incredible book that I have actually read it twice. It is fantastic to see Canadian content on your list. I also loved Cutting for Stone. Great recommendations! I’ve read Gone with the Wind once, about 20 years ago. I should give that another go. Shell Seekers is Pilcher’s most popular novel, but I think Coming Home is her best! Thanks for the recommendation! I haven’t read that one. I adore a long book; I feel like I’m getting my time investments worth. I’ve read several of these, A Fine Balance, Poisonwood Bible, I know This Much is True, A suitable Boy and Cutting for Stone. The only one I didn’t like is Suitable Boy. The others always top my recommendations list. Thanks to your recommendation Pachinko is high on my TBR list….just waiting on my library copy. My “big” book read for this year so far is The Terror (the name of a ship), topping out at over 750 pages. Though a slow starter, after about 100 pages, I couldn’t put it down – engrossing doesn’t cover it. I’d highly recommend it for adventure and history buffs. I also read the 4th installment of the Red Rising series, Iron Gold at over 600 pages – an excellent fantasy series. Keep all those fabulous recommendations coming; I enjoy adding to me TBR list! I just finished Wolf Hall. And I’m currently listening to Cutting for Stone on audio. Tried to read it, got bogged down. Although the 24 hours of audiobook is more than a little daunting. I’ve only read four of those you listed but I loved “The Brothers K” by David James Duncan more than those four. I think it’s close to 700 pages. My husband is reading that right now! I included Clarissa by Samuel Richardson on my reading List before I realised it’s one of the longest novels ever published – some 1,500 pages. Eeek! I kind of really want to read it, just to get it out of the way (and see what can possibly take so long to say! ), but I can’t seem to find a copy of it in any of my local secondhand bookstores. Wish me luck! I still love long books, I can’t help it! I read Middlemarch last summer and it took forever but so well worth it! I’m currently tackling Anna Karenina and I hope it will also be worth the time. “If you liked Owen Meany”… RUNS TO LIBRARY. I read America’s First Daughter by Stephanie Fray and Laurie Jaye for my 500+ read. And then I promptly ran off to Monticello to see all things Patsy Jefferson. (Truly: I live in Virginia, so that was easy.) Now on my TBR list: My Dear Mr. Hamilton by the same authors. The Historian (Elizabeth Kostova) is my big, fat, go-to book for a perfect October read. I’ve been meaning to read this for ages, and just stumbled upon it in a little free library! Anne, I really hope you like it. My top “ten favorite book” list is continually changing but “The Historian” has been on it since it came out in 2005. I hate to use the cliche, “genre bending” label, but “The Historian” really is so many things: horror, literary fiction, historical fiction, modern gothic, fascinating look into obscure history/historical figures & events, slow burn detective story, family saga, campus novel, travelogue, and on and on. BUT!! I am such a seasonal reader and this novel clicks off on all of the spooky, creepy (but not too creepy..I am a big, fat fraidy cat) feels that I crave in October :). Also, think it is one of those love/hate reads. The Historian was absolutely engrossing. I think I read it in 6 days. Thankfully a friend sold me on it before she ever said the word, “vampire,” or I probably would have given it a pass; it was nothing like what I would have expected. Loved your comment, The Historian IS an engrossing read! I work very part-time at a local, independent bookstore and one of our assignments as booksellers is to write a review for the shop’s newsletter. Current assignment is “your favorite, spooky fall read.” I am dying to review The Historian but know as soon as I mention Dracula/vampires our subscribers will roll their eyes, think young adult vampire romance and scratch this off their to-read list. The friend who recommended it to me finished with a quick, “they are looking for a vampire… sort of… but it’s NOT vampire book! No sparkles, no romance!” I had to chuckle. I don’t know if it’s the longest book I’ve ever read, but the longest slog was “Atlas Shrugged.” My mother always said it was her favorite book, so I felt I had to read it. Definitely a challenging read and an accomplishment to finish. I had to take breaks, though, with a few palate cleansing books. I’m thrilled to find out that you’ve read the Poisonwood Bible multiple times. (I knew you had good taste, but this is special!) 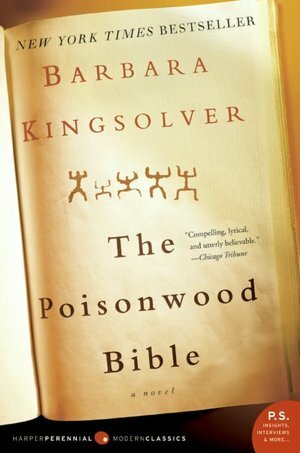 It’s one of my all-time favorites, and I love Barbara Kingsolver. I generally tell people not to read all of the chapter, This is John Galt Speaking. It is Ayn Rand’s Objectivism philosophy. A few pages at the beginning and a few pages at the end, but it gives the reader the gist of it. That chapter is a long slog even for me, Dee. I have read it but it takes me almost as long to read it as the whole Part III. Your “longest slog” category made me laugh. 🙂 And YES to Barbara Kingsolver everything—I can’t wait for her new novel coming out this October! Yet, to me, I wasn’t impressed with The Poisonwood Bible…found it to be a long slog. I much preferred her Animal, Vegetable, Miracle, nonfiction title about becoming a locavore (eating local). Different strokes, I guess, or one man’s trash is another man’s treasure (cliches galore). Dee I read Poisonwood Bible last month – there are no words! Amazing is what comes to mind! So many great suggestions here! I second the commenters above who suggested King’s “11/22/63” and “Middlesex” by Eugenides. Those are two of my favorites! Last year read “Mary, Queen of Scotland and the Isles”. A biography of Mary Queen of Scots, but fictionalized details and dialogue which made it unputdownable. Such and exciting tale that has this part of history set in my mind now. I read A Little Life earlier this year as my 500+ page book for the challenge. I picked it up because it was discussed on a few episodes of WSIRN, and I felt like the first few chapters (the ones focused on JB and Malcolm, whom I found pretty annoying at the beginning) could’ve been left out, with those character introductions happening throughout the narrative, and Willem’s chapters could’ve been better integrated with Jude’s. I went into the book thinking it was the story of 4 friends, but really it’s just Jude’s story, and the other three are supporting characters. The first part of the book sets out to seem like it’s about all 4 men, but that’s ultimately misleading, and I resented that a little. 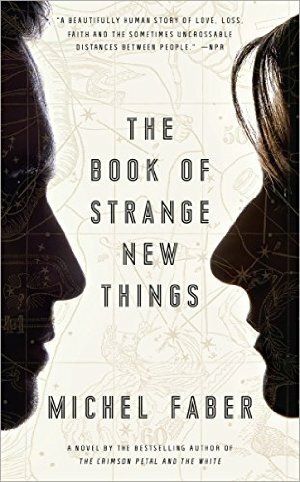 Nevertheless, once it really kicked in with Jude’s story, I was engrossed (and also sickened) by the little details of his past intermingled with his present. I still enjoyed and would recommend the book. I also just read Cloud Atlas, which I found moderately enjoyable. I remember feeling the same at the start of A Little Life–I kept expecting to return to JB and Malcolm. Apparently, this was intentional; the author meant them to be a juxtaposition with Jude’s life. If I have a criticism of the book, it would be that the transition from those characters to sole focus on Jude is a little clumsy. Clan of the Cave Bear by Auel is wonderful and transports you back 20,000 years. The science is pretty solid as well so you learn about early man, climate change, geology, early language, botany and medicine, geography, evolution, and it’s a page turner! No, no, no, no, noooooo! I understand most of my beloved doorstop classics not being on the list (because MODERN Mrs. Darcy, right?) but you cannot deprive your poor readers by writing a list like this without including “The Gray House” by Mariam Petrosyan! It is magical realism at the absolute finest that I have ever read. 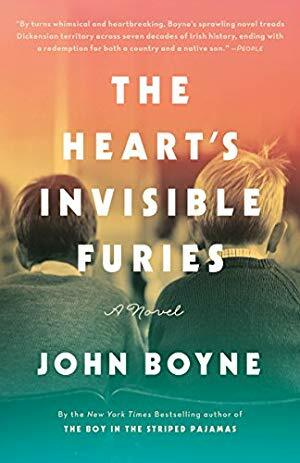 I read it last summer with a blog-based book club, and I was legitimately captivated by the story, the characters, the mysterious weirdness, the haunting images, and the music of the words themselves. Its something like 700+ (maybe 750) pages, but it was worth every luscious, polished word. Sarah, I LOVE your enthusiasm for The Gray House! Atlas Shrugged by Ayn Rand. It is a slow start but once it gets going, it really gets you thinking. I recommend it all the time. Good for you for recommending it, Sam. I do, too..all the time. It does take some time to get into the novel because of all the characters she introduces in the first 50-100 pages, but once in, the book just flies (okay some of the philosophy message slows it down a bit), and it is so hopeful at times despite the dystopian element. I LOVE the Gabriel Allon series. The new one comes out next week! It’s on my nightstand right now! A Fine Balance is Excellent!!! I have read it not once but three times. It draws you in quickly and the story is so well developed that you truly have a feel for the people and culture. My entry for this category is The Weight of Ink by Rachel Kadish. Originally I had planned for this to be my “book by an author of different race/religion” category entry, but after I flew through it on my Kindle, I realized that it had been nearly 600 pages long. Well-written, thought-provoking, fascinating, AND a literary mystery to boot! I’ve heard good things about this one! So glad you enjoyed it. I have East of Eden on my list but not in that category. I read All the Light We Cannot See for my book club and am counting it. Scraping by at 530 pages. I think I only noticed because I was under deadline! I read In This House Of Brede eirlier this year, not realizing how long it was, because Kindle! But I loved it. I realized by accident that I like to tackle a good long book in the summer. This year’s pick was Lonesome Dove and I loved it! 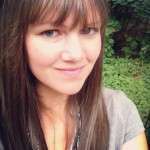 One year I did The Rise of Theodore Roosevelt, and another Kristin Lavransdatter (love!). I loved Pachinko and just bought East of Eden at a used book sale. Middlemarch is on my list for the winter through Well Read Mom! I guess I love long books! I’ve read several of these books. “The Poisonwood Bible” comes up when anyone asks me which book is my favorite. “Cutting For Stone” is also at the top of my list! I would add “Jonathan Strange and Mr Norrell” by Susanna Clarke, one of my favourite long reads! I see you’ve already noted on your page about this book that the New York Times described it as “Hogwarts for grown-ups”, and I’d say that’s a fairly good description of it. I’d add Bryce Courtenay’s “The Power of One”. I read it in high school for summer reading and it still sticks with me. And it has one of the best endings I’ve ever read! Oh, I’m going to check this one out! The reviews are so good! The longest book I’ve read- I think- is Jonathan Strange and Mr.Norrell by Susanna Clark. It is around 1,000 pages. It was a great book, but my book club chose it during the summer- when I easily read a dozen books and make up for lost time on my goodreads challenge. Not that summer!!! I’ve read a number of books on this list- A Fine Balance was so spectacular, and The Poisonwood Bible is one of my all time favorites. I’ve only read parts of Jonathan Strange and that is why. It’s so intimidating! And one that I love that is not included is The Woman in White by Wilke Collins. SO.GOOD. 642 pages. It’s sort of a Sense and Sensibility era thriller. Lonesome Dove or one of the HP novels is probably the longest I’ve read. Lonesome Dove totally should be on this list! It’s such a good one! I just read it for the first time a few years ago. I listened to it on Audible, and it was only when I saw it later in bookstores that I realized just how hefty it is! For any fantasy fans, if you haven’t read Brandon Sanderson’s A Way of Kings, Words of Radiance, and Oathbringer yet, get those stat! Each is over 1000 pages. I average close to two books per week, and Oathbringer took me the entire month of December. But with so much space he has room for fantastic world building, character development, and exploring big ideas. If you’re gunshy about unfinished series, I should warn you that he’s on book 3 of 10. But he is extremely regular and prolific in his publishing schedule and has several other completed series, so he’s not going to pull a Patrick Rothfuss on us. I have to add The Time Traveler’s Wife. I FINALLY read it last week, in two days no less. My hardback copy came in at 512 pages and I had to start my next book immediately so I wouldn’t be so sad at finishing that amazing piece of work. I will likely read it again in the next few months and I am not a rereader AT ALL. For the Great American Read, I alternate between Gone With The Wind and The Count Of Monte Cristo (MUST be an unabridged copy). But no one brought up either Stranger In A Strange Land or Dune! Where’s The Lord Of The Rings? Or A Game Of Thrones (the book)? I warmed one whole winter with Paul Scott’s The Jewel In The Crown quartet and have read all of the James Clavell books–especially Shogun (multiple times). Big books (and series) rule and I’ve written down nearly twenty suggestions. Thank you all. I read “The Poisonwood Bible” earlier this summer Anne. What an amazing book! I appreciate my life here in America, but after reading this book I appreciated my life even more! 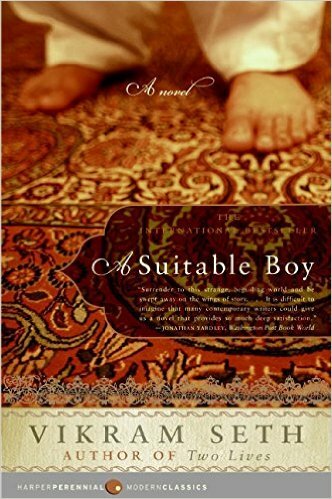 I read “A Suitable Boy” several years ago and loved it. It had been on my shelf for years because the size of it was intimidating to me. About half way through I had hand surgery and couldn’t use my hand for months. I was so disappointed that there wasn’t a Kindle edition available! However, I did manage to finish the book using pillows arranged just so. Fortunately, my next long book “The Count of Monte Cristo” can be downloaded on the Kindle. I was advised to get the translation by Robin Buss. Good translations can make all the difference in a book. I’ll be reading it soon so I’ll see.